Access data wherever it resides by relying on connectivity to the most common industry data sources. With 25+ connectors available today, it’s easy to securely connect to the data you need. Complexity demands a way to move beyond working directly with the data. Design data flows combining multiple data sources with real-time validation to quickly create complex transformation routines. 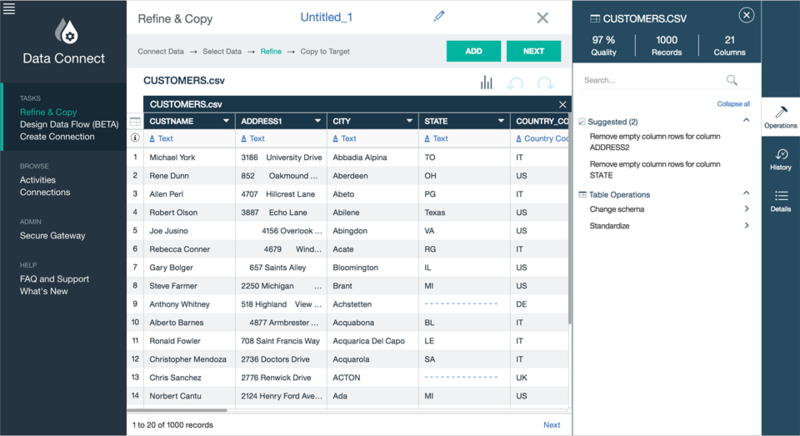 Filter values and columns from the source data, sort, remove duplicates, and understand the quality of the data through standardized scores. Whether it's databases, applications or different cloud platforms, generate actionable insights faster and build great applications.